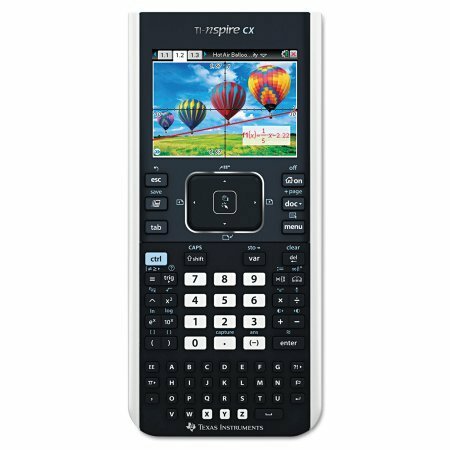 A common question of students is “what calculator should I get?” This comparative review tackles the two biggest players in graphing calculators: The TI-84 Plus CE and the TI-Nspire CX. Their popularity stems from the fact that they’re both newer models, have rechargeable batteries, and are both allowed during the ACT, SAT, IB, and AP tests. 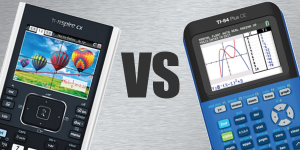 Despite having less features, my perhaps unpopular opinion is that the Ti-84 Plus CE is superior to the TI-Nspire CX. I explain my reasoning below, but the short answer is that the CX is unnecessarily excessive and complicated for the typical student. 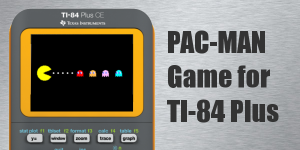 The TI-84 Plus series has dominated high school classrooms for over decade. Its popularity be attributed to both Texas Instruments’ marketing and its comparatively low price (though still overpriced—that’s capitalism folks!). 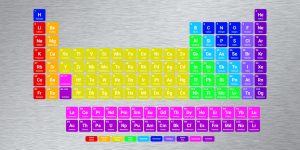 Once adopted by the majority of schools, it became the standard, and its popularity has remained mostly constant and unquestioned. Though TI’s monopoly discourages innovation, as demonstrated in the picture, the Ti-84 Plus CE is actually a nice upgrade from its predecessors. The 320×240-pixel color screen along with a rechargeable battery and slim exterior is a large step towards modernizing calculators. Additionally, though not very important, it is available in a multitude of fun colors. 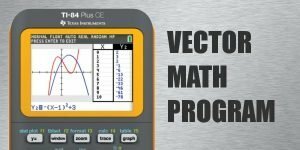 Besides the new features, its MathPrint™ functionality, simple user interface, and hundreds of powerful built-in functions are nearly everything a student would desire. The ability to create programs and use numerous built-in applications allow for more advanced operations too. The TI-84 Plus CE will never hold you back from accomplishing any mathematical task you’ll encounter throughout high school and most college courses. The TI-Nspire calculator was released in 2007 and never gained as much popularity. The CX and CX CAS were released in 2011 and set a new standard for graphing calculators. These calculators contain actual computer software which allow users to store files and documents in their calculator. Teachers can even create documents and send them out to their students. In terms of the hardware, it features an identical screen as the TI-84 Plus CE (320×240-pixel color) but has 25 times the storage and 415 times the RAM. The significant performance enhancement is due to the calculator having computer software and file storage capabilities. The button layout is also different. Some convenient features include a large touch-pad to easily navigate, and an isolated alphabetical keyboard. The biggest drawback with this calculator is the significant learning curve and unnecessary features pertaining to the average student. If you are a graduate student or professional adult looking for a calculator with highly advanced features and are willing to devote the time and energy to learn how to use it, this is definitely the one for you (or the TI-Nspire CX CAS, featuring algebraic solving). Through experience however, I found that 99% of what I was doing on the TI-Nspire CX could be done on the TI-84 Plus CE, and usually in a more user-friendly manner. If you are secondary school or undergrad student, you may also find the TI-Nspire CX to be more advantageous. For example, there are some little things to appreciate like having buttons for secant, cosecant, and cotangent, or its superior visual geometry features. However, if you want to express yourself with your calculator, sorry—this one only comes in black! Overall, you won’t miss out on too much with either one, but my personal recommendation is to save the few extra bucks and go with the TI-84 Plus CE. Because its the most popular graphing calculator, there’s lots of information and support online and likely in your own school. Especially with its slimness, rechargeable battery, and fun colors, this calculator is about as close to modern as you can get. 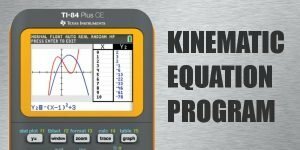 I also recommend using this website as a resource to learn about features you might not know the TI-84 Plus CE has. That should hopefully convince you that everything you need is available inside this cheaper, more enjoyable calculator. To finalize this comparison, here is chart directly from Texas Instruments’ own website which compares some features and uses of both calculators.